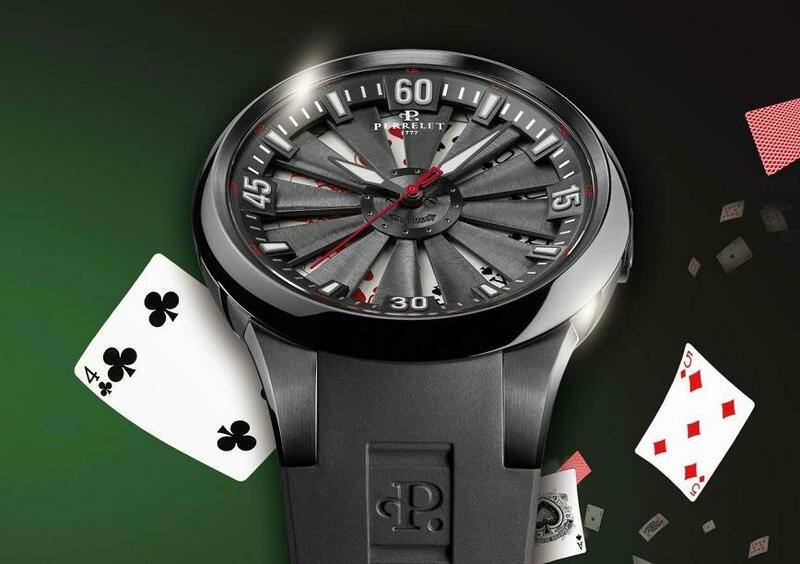 Although there is no shortage of casino inspired watches such as the Bell & Ross BR 01 and surely the runaway winner in terms of casino themed watches, the Christophe Claret masterpiece 21 Blackjack, you can still drain everyone's pockets with an endless stream of bets using the Perrelet Turbine Poker watch. The cards spread around the dial play hide and seek beneath the 12-blade wheel. As it rotates constantly due to the wrist movement, it is hard to view the deal. 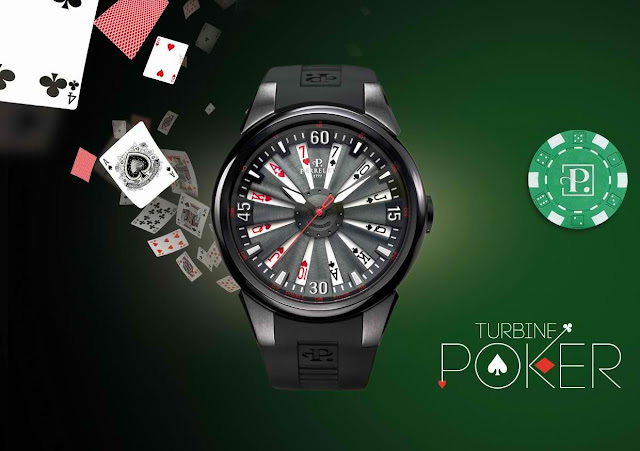 This model thus offers a chance to reinvent poker by getting friends and family to guess, or bet, and keeping them in suspense until it stops completely. A couple of clever flicks of the wrist will serve to call players’ bluff! Upper hand, lesser hand or hand in the middle? How much and what colour? The watch runs on a Swiss automatic Perrelet calibre P-181 movement with double rotor which is exclusive to the Perrelet brand. Version 1 - A pair of sevens. Version 2 - A pair of sevens, two royal flushes, one with spades, one with hearts. Version 3 - Two full suits, three of a kind and a pair of sevens as well as a triple of kings and a pair of sevens.